Ultimate Iron Man features removable armor on his arms and wires to interface his arms with the machine. Packaged in display-ready Select packaging with spine artwork. 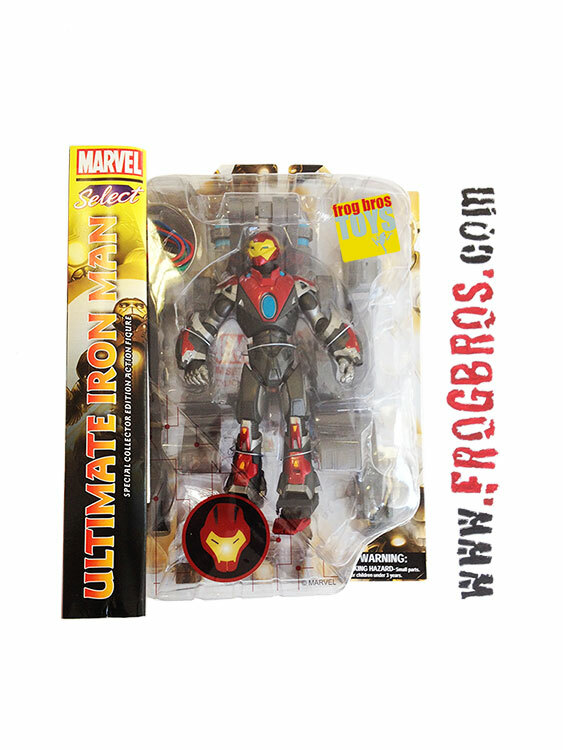 Inspired by Bryan Hitch's cover to The Ultimates #2, this Marvel Select masterpiece depicts Ultimate Iron Man in his full armor, complete with the rack system Tony Stark uses to put on the high-tech battlesuit. Featuring several points of articulation, Ultimate Iron Man features removable armor on his arms and wires to interface his arms with the machine. Packaged in display-ready Select packaging with spine artwork. Sculpted by Steve Kiwus.